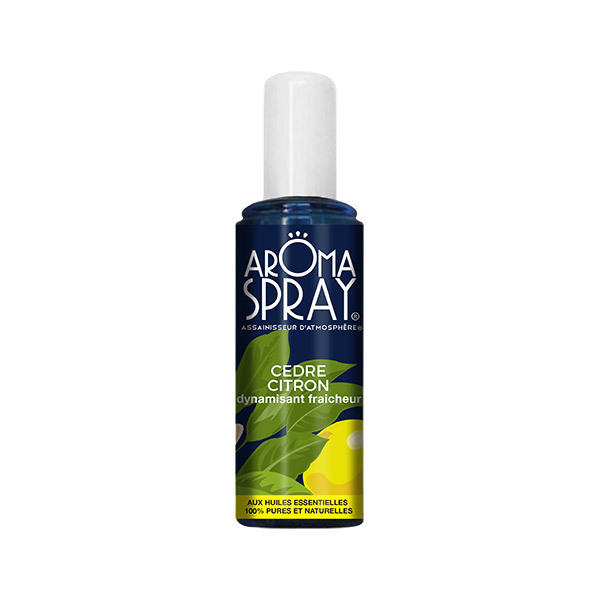 This natural airfreshner adds a refreshing odour to your living space, try the 100% natural Lemon & Cedar Air Freshener 100ml, it also has purifying qualities. 100ml. - Essential Oil Cedarwood Virginia (Juniperus virginiana) . - The Cedar Lemon gives you a dynamic atmosphere and cool environment, while purifying your living space. Also available in 30 ml pocket size! Aromaspray is a leading brand in essential oils that combines to key features in its products; deodorizing and purifying oils. A unique choice of 12 scents, subtle and aromatic original essential oils, carefully selected for their beneficial effects. Aromaspray offers a wide range of vaporizers that are free from gas - 100% natural without any artifical or harmful ingredients. Green products, handcrafted, healthy and safe. Aromaspray, Live Healthy! Breathe Healthy!